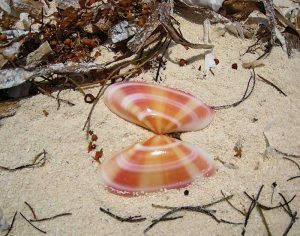 Taking a close look at the treasures on TCI beaches. Beach potpourri is a natural work of art. The renowned beaches of the Turks & Caicos Islands provide the backbone for so many activities, from paddleboarding and parasailing to quiet beach walks. Yet here’s something that those enjoying the activities might not realize: You really are walking on bone, if not a literal backbone. That soft, white sand is created from broken-down coral and shells, the exoskeletons of invertebrate marine mollusks. 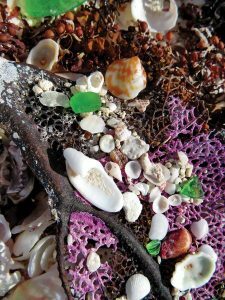 Beachcombers and collectors of shells might be surprised to know that the sand they sift through to find “treasures” was once those very treasures, created through bio-erosion. In the geological long view, you can’t have your beach and walk on it, too! 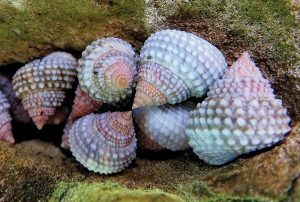 Multi-colored periwinkles are among the most visible and familiar shells. Yes, it’s hard to pass by a perfect pink-and-yellow sunrise tellin or a pristine sun-bleached sand dollar, but here’s an alternative souvenir suggestion: Photograph those shells to create your own stunning display that’s beautiful by nature! Our featured photographers here, Marta Morton and Tom Rathgeb, offer some ideas and suggestions for carrying home shells without getting sand in your suitcase. Sunrise tellin in a natural setting. Marta Morton, owner/manager of Harbour Club Villas, claims, “I’m not a photographer,” yet she takes thousands of pictures of “whatever catches my eye” when she walks on any of Providenciales’ beaches. She has found shell treasures at Smith’s Reef, Southwest Bluff and Half Moon Bay, which she shoots in their natural settings and light. “I always find something to take,” she says. Marta uses “my little point-and-shoot” as her camera, a Canon Power Shot SX-720-HS with a 40x optical zoom. “I don’t do anything special,” she says, although she admits, “I can spend an hour doing different angles.” Occasionally, she will “pose” her subjects. She finishes her photos using a program called ACD-See, using minimal enhancement: perhaps boosting colour or adding to the reflection of sparkling water. Marta adds that while she knows she should organise her photos better and could print some favourites, it gives her pleasure to go through them and remember quiet days of beachcombing. And isn’t that the purpose of a souvenir? Sunrise Tellin in a studio setting. 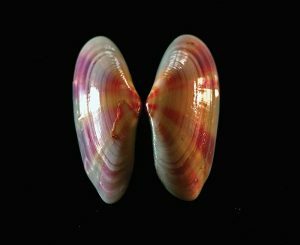 Tom Rathgeb, who bases himself on North Caicos during frequent visits, takes a more “studio” approach to shell photography, bringing each shell indoors and placing it on a black background. An old trunk used as a coffee table in his Whitby home ably serves that purpose, he says. Then, “I wait for the afternoon sun coming through the patio doors and re-examine the shell to ensure that the lighting captures what I feel is the shell’s best side.” After checking focus, ISO, aperture, lighting and depth of field, he composes the shot through the camera and takes several shots from the various angles around his feature point. 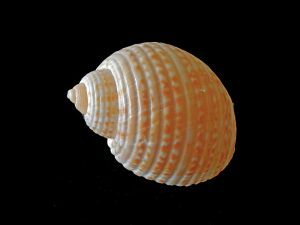 This ethereal beauty is likely a partridge tun shell. 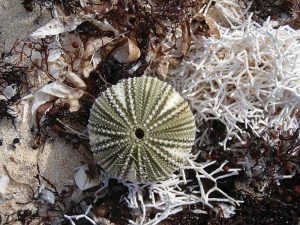 Sea biscuits are related to sand dollars.